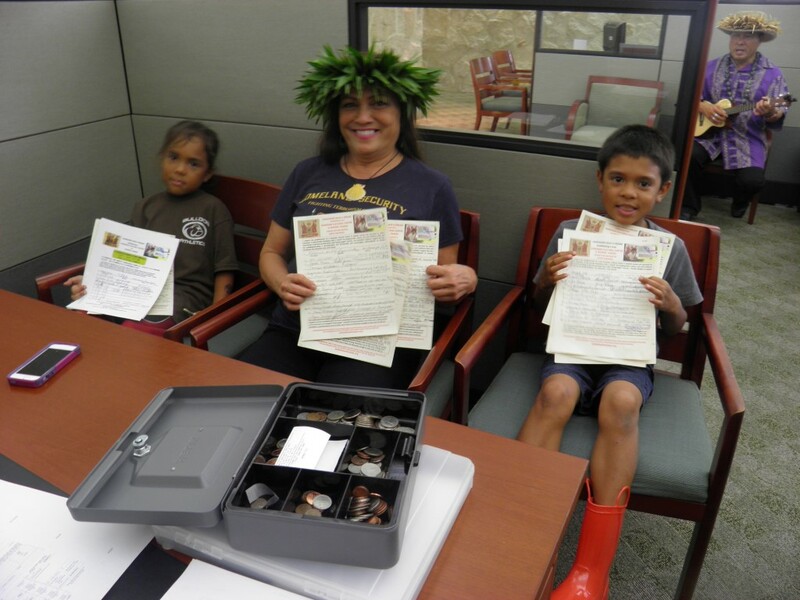 On October 20, 2014, a bank account was opened in the presence of a small group of native Hawaiians that almost brought tears to their eyes during the emotional preparations. 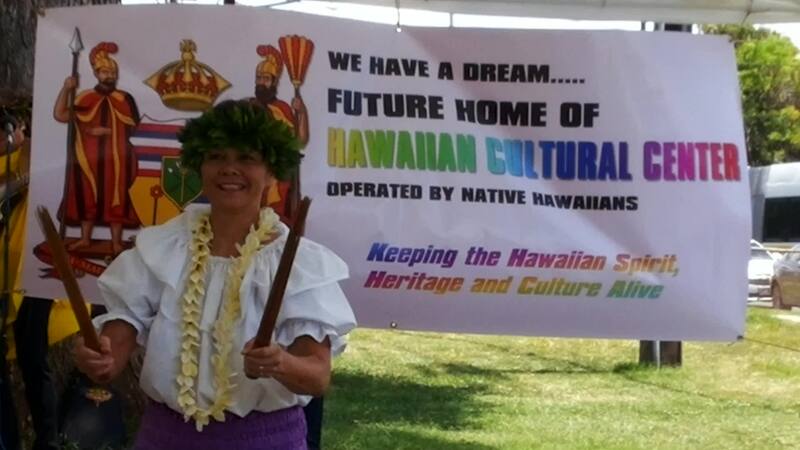 The account was opened with First Hawaiian Bank specifically for depositing donations for the Hawaiian Cultural Center Village (HCCV) drive project. 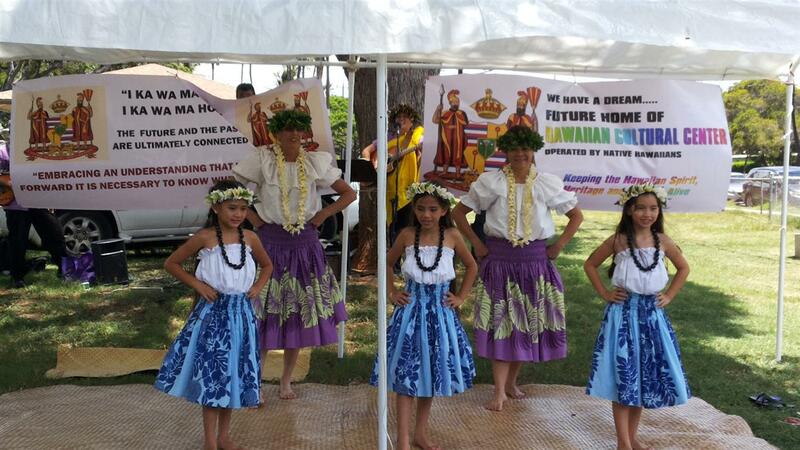 … Continue reading the story "Opening the Hawaiian Cultural Center Village Exclusive Bank Account"
The public support gathering and fundraising drive for the Hawaiian Cultural Center Village was officially opened about noon on August 16th, 2014. 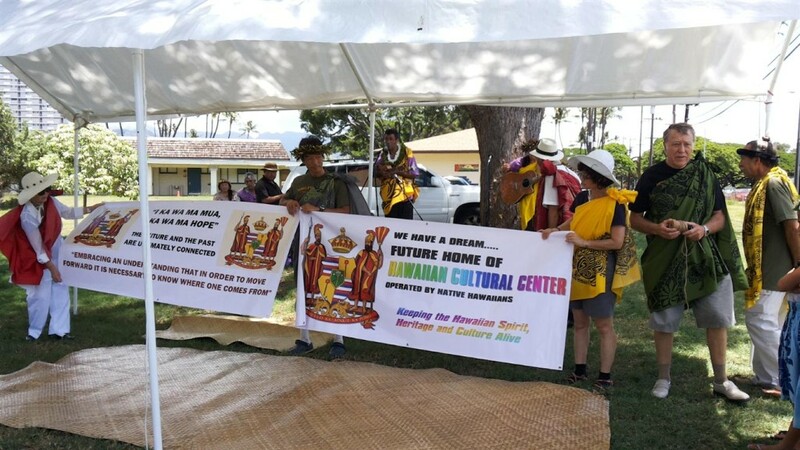 Ceremonial Pu (Shell Horn blowing), Oli (Hawaiian Chant) and the unfolding and wearing of … Continue reading the story "Opening of Hawaiian Cultural Center Village Drive"
Home visit/stay with Hawaiian families. 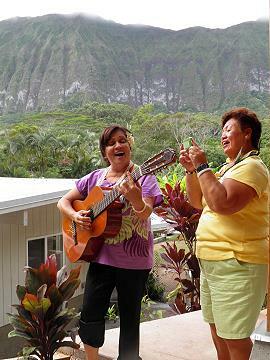 Aloha and hula parties … Continue reading the story "Planning to visit Hawaii?"